March 4- 444 Residents and Guests: Cribbage Tournament! 1-4 PM Main-floor 444 Kennedy St. Enjoy punch and cookies. 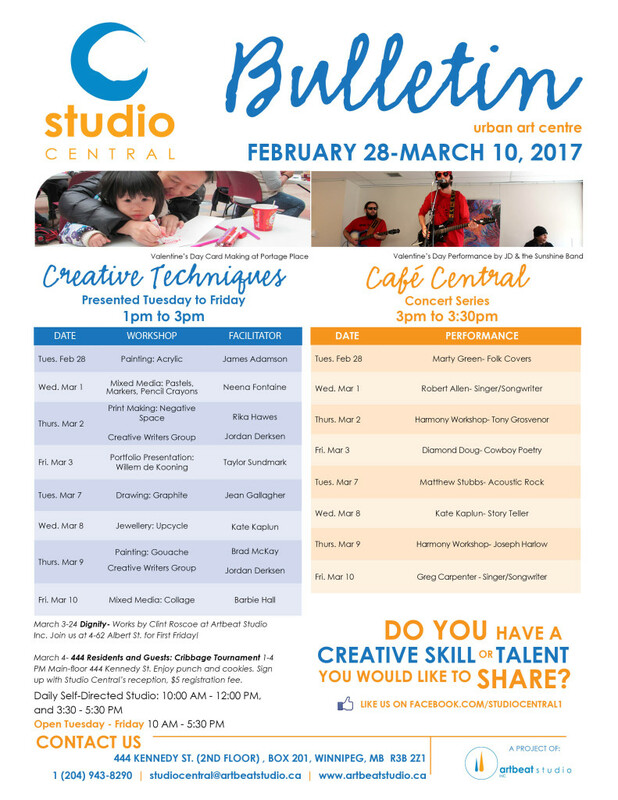 Sign up with Studio Central’s rece Volunteer Forum- All volunteers welcome! Snacks will be provided!